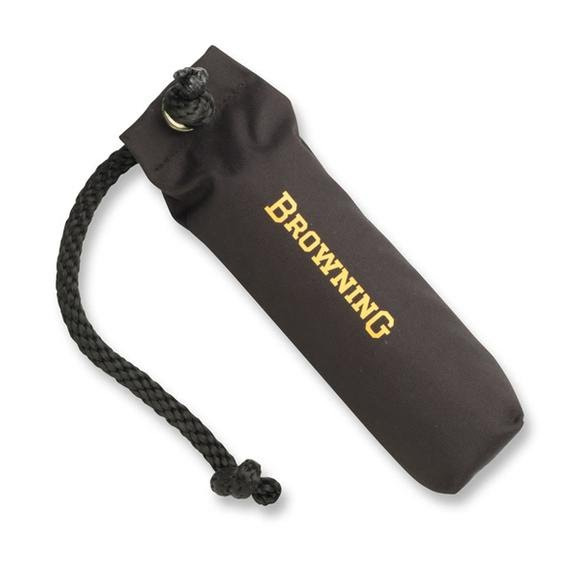 Durable and buoyant Browning's Dog Training Bumpers are indispensable for waterfowl retrieval training. Durable and buoyant Browning&apos;s Dog Training Bumpers are indispensable for waterfowl retrieval training. High denier poly cover resists wear and tear. Dense, close-cell foam creates a firm, realistic feel and aids buoyancy. Black color for visibility on bright backgrounds or light colored backgrounds. Small 2” x 10” size is ideal for smaller or younger dogs and for their initial retrieve training.